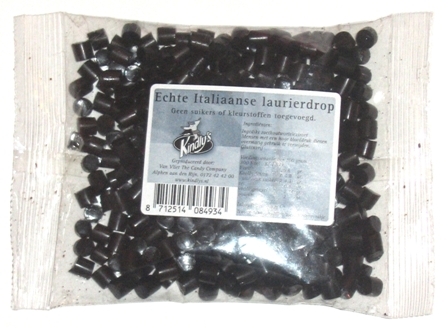 Kindly's Laurierdrop, although imported from Holland, taste much like Italian licorice. These are hard little pastilles which have a strong licorice taste with a bit of menthol. They are delicious, but will last awhile, because they are hard in texture and strong in flavor. 3.5 oz per bag.